Happy Thanksgiving Friends! I am so Thankful for all of you, and I'm thankful that I can share some great Gluten Free recipes with all of you so hopefully everyone will be able to enjoy what's on their plate this year. All of these recipes taste "normal", actually better than normal. ;) There's no reason you'll need to make 2 different meals to accommodate the gluten allergies in your family, no one will ever taste the difference and your gluten free friends and family will feel like it is such a treat to get to enjoy a full Thanksgiving spread with the whole family. When cooking or baking for your Gluten Free friends or family, use clean surfaces, appliances, and dishes. There is nothing like having the anxiety of cross contamination and fearing that the hardwork that the host put in to prepare an amazing meal for YOU could make you sick. It's simple to do this, just do all of your Gluten Free baking and cooking completely separate, or don't bring any Glutenous foods into the meal. Also pay very close attention to hidden gluten in the ingredients you're using. 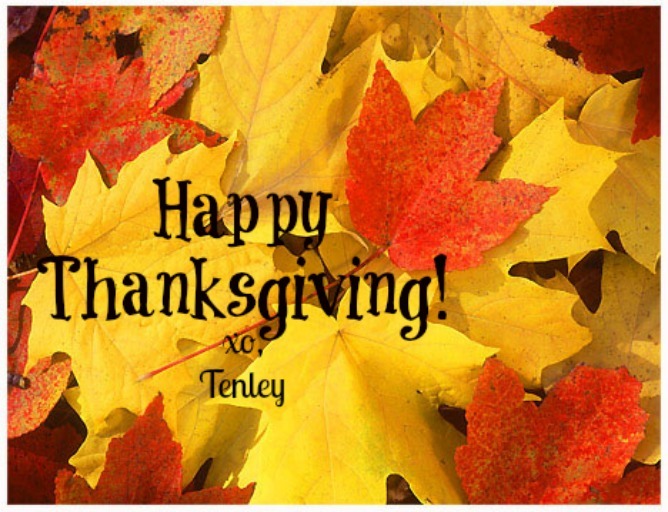 I hope you all have a very Happy Thanksgiving full of family, friends, good food, and lots of wonderful memories!